GreenDay is set to become Kilkenny first Local Green Fair. 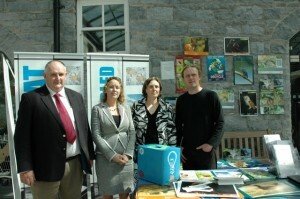 The local expo had its first day out under the glass roof of the Workhouse Sq at MacDongh Junction on Saturaday 20th June. This bright airy space gave visitors and exhibitors alike a relaxing atmosphere to savour everthing on display. 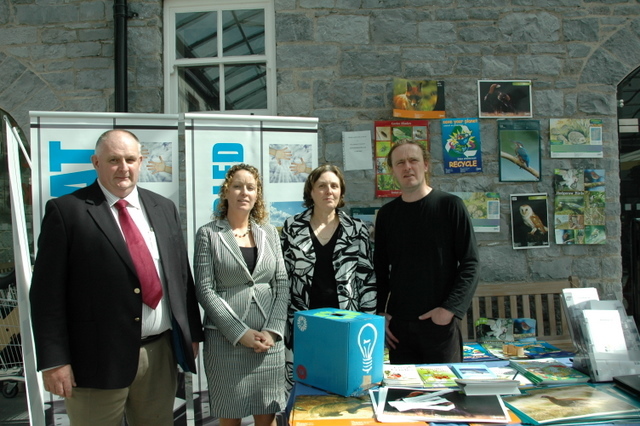 The GreenDay local fair is the first opportunity to give local green businesses a platform to showcase their products and services in Kilkenny. There was a good cross section of products on show from Solar technology to gardening providers, from energy monitoring to Tidy Towns. Future Proof Kilkenny would like to thank MacDongh Junction for providing a great venue and in particular to Shay Bollard who brought the event together like a true pro, and with whom we look forward to working with again. 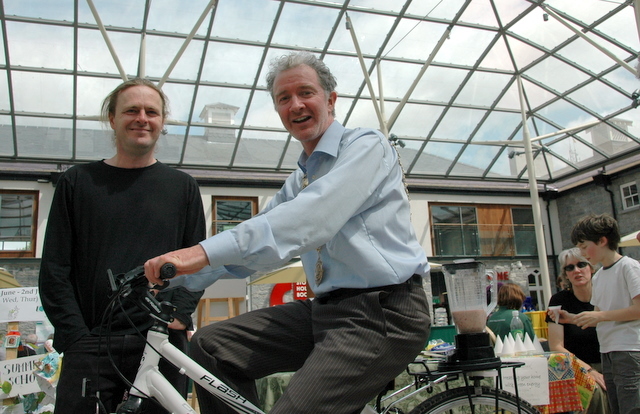 Amongst all the goings on young Hal kept everyone refreshed with great smoothies from the bicycle powered Smoothie Maker! Big thanks to Tisha and her valiant crew for that. To celebrate the ‘Green Day’ BureauScope.com / Casey Technology held a ‘Green quiz’ at their stand, and for the prize, sponsored €50.00 worth of plants supplied by Shane Phelan at the New Park Garden Centre. Everyone who came to talk to us was invited to take part. The winner is Carmel McGuirk. Origionally from Co. Dublin but now living in Kilkenny. Carmel told Aisling [Casey Technology] on Monday morning that she was delighted that she had won the prize, her husband is very into-gardening and has previously bought plants from Shane Phelan . (086- 2113280) and she, [Carmel] never had won anything before.